Julieanne oversees all administrative duties and as the first point of contact with the general public, is well equipped with the knowledge to direct each enquiry to the proper area of Te Atatu South. Take the time to say hello when you call Harcourts Shelter Realty, Te Atatu South office. Abdul Choudhry has travelled and lived in a number of different countries around the world. He has had the privilege of working alongside and getting to know people from a variety of cultures since his arrival in New Zealand in 1989. 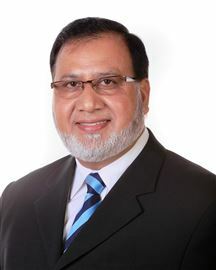 With Abdul's diverse work history and also with 14 years experience as a Real Estate Consultant, he is proud to associate consultation and helping people as his passions A good combination of work experience and property expertise enables Abdul to assist and advise many of his clients to get the best possible result. 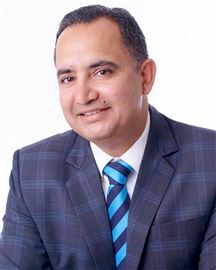 He has and still is, successfully marketing and selling property in West Auckland where he now resides Abdul has assisted many clients that have resulted in repeat businesses and referrals when clients consider selling their homes on the market. Outside of work, Abdul's greatest passion is his family. He is also involved in social work within the community by helping people from all walks of life "When working with my clients, I place trust, professional service, initiative and integrity as my priorities. That is what I deliver every time!" Alex is a highly experienced and driven sales & marketing consultant, priding himself on building lasting relationships and helping his customers reach their goals. Alex has a young family, he's easy going and loves cricket and fishing! He's from England originally, emigrated to Australia where he met Steph Malik and he now calls Auckland home. His family have a background in building and property investment, so he had a childhood being around building and renovation projects. He's passionate about real estate and started property investing over 25 years ago. Alex started his career in programming retail banking software leading him into sales consultancy and business development. He understands what clients need and has exceeded targets in extremely competitive markets whilst working at global organisations like Oracle and Paypal. Always wanting to combine his sales skills and his obsession in property, Alex took the opportunity to move into real estate and join his wife and mother-in-law to form 'Team Malik' at Harourts. Alex has natural ability to understand client requirements and deliver solutions, he is highly motivated and totally committed when working with his clients to ensure they achieve their objectives. He says the one thing that gives him the most satisfaction is helping others achieve success. 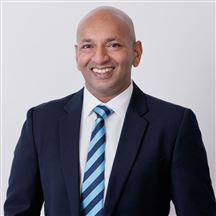 A recognised name in real estate, Amar Alluri has been a top performing sales professional for over 14 years with Harcourts New Zealand and Australia. Based in West Auckland for most of that time he has built an enviable reputation for delivering outstanding results amongst a wide network of clients. Well-known as much for his energetic manner as his astute marketing skills and dedicated professionalism, Amar’s success in real estate is underscored by exceptional people skills and passion for business. Back in India he was a qulified Civil Engineer worked for Government department, he also worked in Saudi Arabia for Indian Telcom company. His wide range of different backgrounds proved a fantastic grounding when he commenced his career in real estate and he quickly established a dominant presence, in Auckland’s market. He discovered the beauty of selling in the Central Auckland and Western Suburb areas is the variety it offers. Whatever a property is worth, Amar treats it with the same care. Talk to his clients and they’ll say the things that set him apart are his absolute honesty and meticulous attention to detail. Clients value the fact they can rely on Amar to ensure nothing is overlooked. As a facilitator in the sales process, he does his utmost to pull the many threads together to achieve win/win outcomes for both sellers and purchasers. The aim is to make the whole process as transparent & smooth as possible. While he is a keen auction advocate, Amar recognises every client is unique. He goes out of his way to listen, which allows him to determine a winning marketing strategy for each property. And though he appreciates the reputation he has gained among his peers for industry success, he gains most satisfaction from the results he achieves for his clients. Amar's commitment to service gives him an edge, as does his ability to adapt to ever-changing needs through embracing technology. In any market, people want to be reassured they’ve done everything possible to maximise the value of their property. By selecting Amar for your real estate needs, you know you’ve made a canny decision. With 15 years experience in real estate, Benji Kim has earned his reputation for providing outstanding client service and excellent results. He is passionate about his role because it allows him to meet and help many different people across Auckland, and it shows in the way he interacts with clients and in the strong relationships he forms. As a New Zealand immigrant, Benji's found special talent for helping other people settle into the country and find their perfect home, His ability to speak fluent Korean, English and a little bit of both Japanese and Arabic means that he's able to work with a wide range of people who speak English as a second language, or who don't speck English at all. He's also travelled extensively, visiting over 50 countries, so is accustomed to working with people of all ethnicities, cultures and backgrounds. Before working in real estate, Benji spend 10 years working for Hyundai group as a sales manager, travelling all around the world overseeing their international projects. He's also gained a Master Degree in Business Administration in Korea University. Benji is a kind person who brings enthusiasm, honesty, integrity and passion to his role. He loves forming strong relationships with people and works tirelessly to exceed their expectations. In his spare time, Benji enjoys singing opera & playing saxophone. And he is heavily involved with his Korean Presbyterian Church. Benji is driven to succeed. If you are thinking of selling or buying, he's well qualified to take care of your needs and would be honoured to work with you. As a member of the Harcourts sales team, he has a strong team of real estate professionals to provide support and guidance to all his clients. His office has built an outstanding reputation in the community for providing superior service to buyers and sellers. His aim is to do a great job for you. He wants you to really feel like he is looking after you and giving you good value for money. He wants you to feel comfortable enough to come back in the future and to refer people to him in the interim. There is a lot that happens behind the scenes when market properties and obviously, selling your property for the highest price with as little inconvenience to you as possible is clearly the goal. Please contact him if you ever have any queries or need advice regarding real estate. I've been in the Real Estate industry for 10 years and really enjoy providing a professional service right through the whole marketing and sales process. I've worked in marketing and sales roles for most of my career, with predominantly large international companies like Proctor and Gamble and my last role before real estate was New Zealand Manager for Parfums Christian Dior for over 10 years. If you would like any real estate help/advise, please don't hesitate to get in touch... I would love to be of service to you. Jan Goulbourn is the embodiment of a real estate professional - with over twenty years in the industry, and qualified to the highest level, Jan has fulfilled a number of roles including sales, management and office ownership but has returned to the job that has always given her the greatest satisfaction and about which she is passionate - selling residential property. Jan has had a vast amount of experience in marketing properties of all types and in all price ranges - from marketing large apartment developments to representing multi-million dollar homes. She is also experienced in all the available methods of marketing - Auction, Tender and marketing with and without a published price. In a market place that has many unseen pitfalls for the uninitiated it is always important to choose a person with experience, intelligence and commitment to the highest standards of conduct. This is an industry in which many are called but few are chosen - with her twenty plus years’ experience Jan has shown that she more than has what it takes to represent your home and achieve the best result available in the market. As a valued member of the respected Harcourts Love Realty Limited Te Atatu South office, he is supported by leading technology, advanced marketing solutions and a worldwide database network. Jerry can offer you the advice and exceptional service you are looking for Jerry is renowned for his integrity, full of energy and passionate with a young heart. He would like to share his professional skills, knowledge, honesty, patience and a `ready to go' attitude with you to make that `real difference' whether you are selling or buying a home. It is Jerry's absolute goal to provide total dedication, professionalism and the best service to you. His priority is to help you sell or buy a property for the best possible price and with the least amount of stress and anxiety. Jerry says….. "I want to be your agent of choice when you sell - and when you buy!" "I look forward to selling your house for the highest possible price in the shortest possible time." "CALL TODAY: 021 162 1081 for your FREE Information Pack and FREE House Appraisal." Jesse moved to New Zealand in 2001 and has been settled with his family in West Auckland since 2007. His easy-going personality and warm smile are winning attributes that draw people easily to him. Jesse speaks English and Chinese fluently which of course is an integral key to his ability to communicate well with people from different cultures and backgrounds. 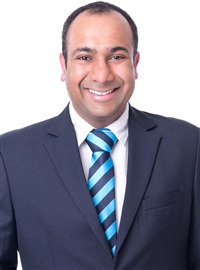 Joining Harcourts Shelter Realty Ltd in 2013 he has quickly established himself as a Real Estate Salesperson who enjoys providing his clients with excellent service. When you work with Jesse you will appreciate his happy disposition and committed work ethic. With six years of industry experience, she is passionate about helping new migrants into homes. Having worked with many migrants to NZ in the past, Lilian enjoys helping them discover the beauty that the country has to offer. She adores West Auckland and has lived there for over 16 years. Their family is active in the community and her daughter attends the local school. Calm, friendly and hardworking are three words that describe Lilian very well. An expert negotiator, she manages to do everything with a smile and a cheerful disposition. Her positivity ensures that her clients never get discouraged or disheartened. Lilian's background comes in advertising and marketing. 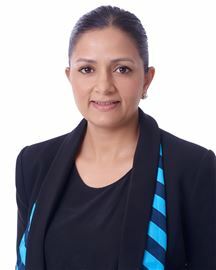 Providing vital knowledge around how to best market a home to its maximum potential, she is creative and innovative with her marketing methods. There's more to Lilian than just this though; she is also firmly goal-focused. She holds a qualification in Marketing and while studying for her tertiary Graduate Diploma in Business she managed to still balance a full time job. It's this determination that produces outstanding results for her clients. Persevering through any challenges that she faces, Lilian is always willing to go the extra mile. 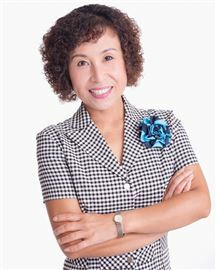 Lilian speaks Cantonese, English, Malay, Mandarin and Teochew, opening up a wide network of potential buyers for vendors. She works with a variety of people, thriving on being able to interact with all walks of life. 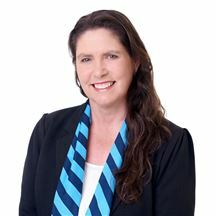 Having personal experience with buying, selling, subdividing and building, she is able to provide her clients with a first-hand expert opinion on the world of property development and investment. Prior to immigrating to New Zealand in 2002, Mason Zhang had more than 10 years’ experience in architectural and civil engineering design and project management in China. Mason had been practising civil engineering and architectural design since early 1990 and he has been a registered architect since 1995, being involved in designing a number of residential, commercial and industrial buildings over a period 15 years. Mason also has extensive experience in overseeing Construction and Project Management contracts. 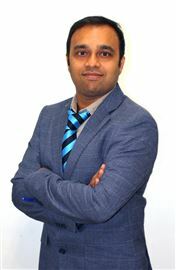 Mason joined Harcourts Love Realty Ltd, Te Atatu South Office in July 2007 after running a successful business for four years in the Auckland area. During this time, Mason’s background has assisted tremendously with his Real Estate career and when partner Lily Mei joined with him in October 2009, they quickly developed a very popular and experienced Real Estate Team. Together they successfully received a number of Achievement Awards over a period of time and continue to make the top performers list both Regionally and Nationally. Recently joined by son Jerry, himself an experienced Sales Consultant in his own right, “TEAM MASON” very quickly formed and started to establish themselves as a force in both listing and selling residential property throughout West Auckland and also assisted clients in the Eastern and South Auckland suburbs achieve successful results with their Real Estate requirements. Their experience, integrity, honesty and tenacity to get successful results means their referral base has grown to a point where their combined services are constantly in demand. If you need a results driven team to handle your Real Estate requirements, then call Mason, Jerry or Lily at any time for a no obligation consultation. Robyn’s career history spans over 20 years in the Sales Industry. Thirteen of those years were with the same International Company that saw her achieve some of her biggest goals. Reaching Top Achiever across NZ and Australia for 7 years in a row proves Robyn has the drive and commitment to be the best version of herself that she can be. Robyn has lived in West Auckland all her life, so she knows where the local schools, the shopping, the restaurants and all the best spots are. Robyn also understands the importance of great communication between sellers and their selected agent. You will find working with Robyn is effortless and seamless and you will appreciate having your greatest assets looked after by such a diligent sales consultant. YOU’LL NEVER LOSE WITH A CLEWS! 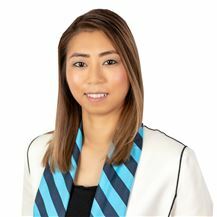 Angeline has recently joined our team and she brings with her five years’ experience in the property industry. With a strong background in residential property administration, Angeline understands the importance of “high level customer service”. Angeline works alongside our lovely sales team to assist and ensure that that they are equipped with the day to day marketing tools. Fiji born, Angeline now considers herself a “westie” having lived in Swanson and now in Te Atatu South. Angeline speaks three languages English, Fijian and Kiribati. She has a passion for Latin dance and has joined the performance team for the Viva Latino dance group. She is also actively involved in volunteering for the Heart Foundation Fundraising campaign either for the local collection day or Marathon. Should you happen to catch Angeline in the office or on the phone, feel free to converse with her in any of the languages she speaks. Give your property an accurate rental appraisal based on the market at that time. Market your property for perspective tenants efficiently to ensure a short lead time between advertisement and leasing commitment. Advertise your property on 5 websites, including Trade Me. I have a database of quality tenants looking for a property like yours. Show potential tenants through your property, and put them through an interviewing process. Be required to provide referees from previous landlords and/or Property Managers, which I will verify. The company will also do credit checks to ensure the financial stability of the potential tenant. On selection of tenants, all signing of agreements and contracts will be completed, and rent in advance, bond, and any other monies will be collected. The bond, to be returned to the tenant on end of lease (if and when the property is left in the same condition as on arrival), will be lodged with the Department of Building and Housing (Bond Centre). I will ensure rent is collected on time and will issue notice and take the appropriate steps if required if rent is unpaid. I have processes in place to deal with rent arrears in a timely manner. Inspect the property every 3 months, to ensure the tenants are caring for it. If maintenance is needed I will organise this and ensure that you have the final decision on any work to be done. If repairs are needed because of tenant fault, remuneration from the tenant will be collected. Family Home On 812m2 Land! Price Slashed - Urgent Sale! Kids say "Mums moved on"!! Are You My New Owners? Jackpot for 1st Home Buyers! "One of a Kind & Hard to Find"
Offers Wanted - Urgent Sale! Big Home on Big Land! Vendors Bought and Must Sell! Classic Kiwi - A Real Winner! Near New but Better than New! SHA - Special Housing Area! "Kiwi Bungalow" on Big Site! Brand New Brick & Tile Beauty! Near New Brick & Tile Beauty! Your New Life Begins Here! Home & Income On The Hill. Be The King of Your Castle! Are You Seeking a Project? Henderson CBD - Best Buy ! !